Premarital counseling helps couples prepare for marriage. The counseling can assist with building or supporting a strong, healthy relationship and give partners a better chance for a stable and satisfying marriage. 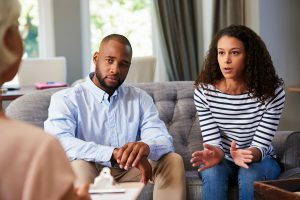 Attending counseling before marriage can help couples identify weaknesses in their relationship that could potentially lead to problems or even the failure of a marriage. The counseling offered by Celebration includes topics that can help give you some insight into what you can expect and how to deal with life’s realities and responsibilities in a marriage relationship. Saving on your Florida Marriage License. Avoiding the three day wait. Increasing your odds of having a successful and loving marriage! Contact Celebration to schedule training at info@cccfl.org or 850-662-4287.